Ipad has a resolution of 1024 x 768 but as you know you can use iPad horizontally or vertically and iPad automatically rotates the screen. When the screen is rotated the wallpaper is cropped accordingly. 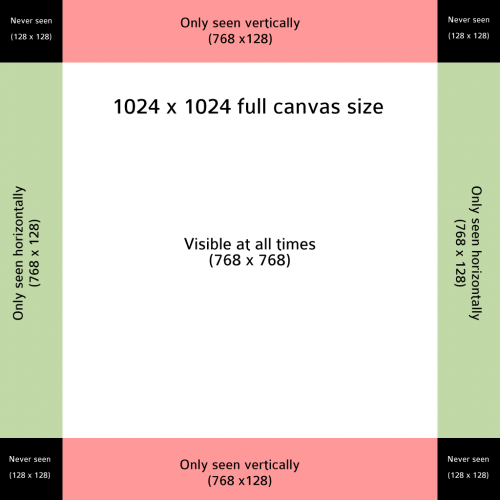 Portrait orientation crops the wallpaper to 1024 x 768 and Landscape orientation to 768 x 1024. This means that the wallpaper should be 1024 x 1024 and have the most important part in the central 768 x 768 because of the cropping. Also because of the cropping 128 x 128 blocks in all four of the corners of the image will never be seen. See the picture below. 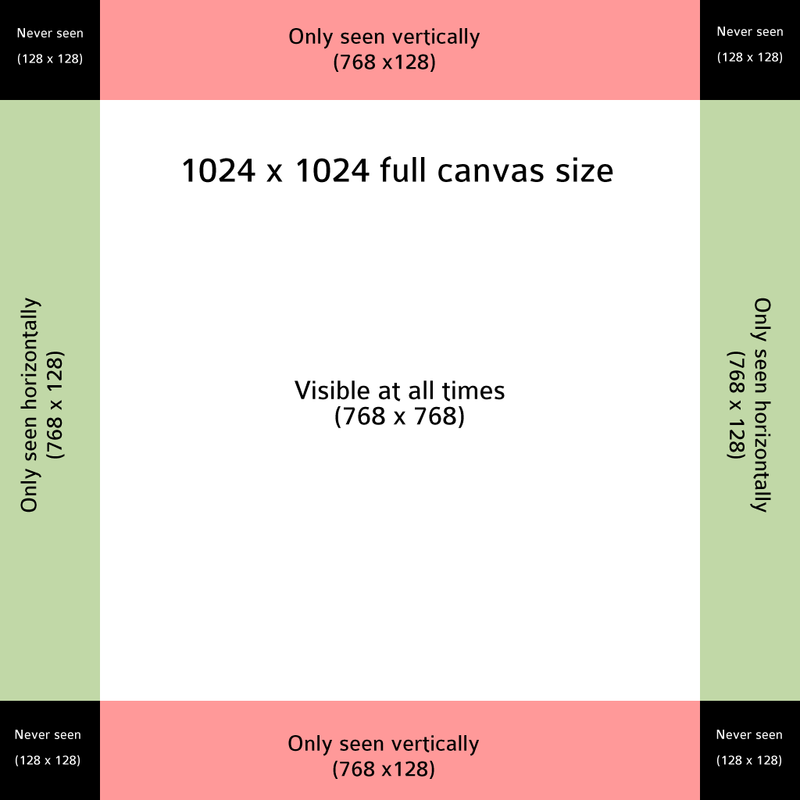 Now when you’re making your own wallpaper you should crop or create 1024 x 1024 sized image and make sure that everything important that you want to be able to see on your iPad is on the central 768 x 768 area. You can use the image below as a guide.